Those are some pretty impressive statistics, but we don’t think dodgeball should just be limited to afterschool clubs. You might think this is a bold statement, but here goes: Dodgeball is the BEST sport to play during PE Classes. 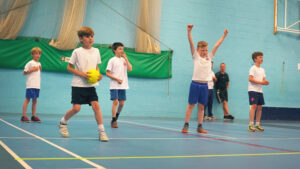 Played using the right equipment and the correct British Dodgeball rules, dodgeball is safe, fun and boosts children’s communication skills, self-esteem due to the increased chances for success, and promotes a healthy lifestyle. Why is dodgeball better for developing physical literacy than traditional sports such as football, hockey, netball etc? Because dodgeball is played with more than one ball! This gives children more opportunities to develop basic object control and co-ordination skills through throwing and catching. What about the other children without a ball? 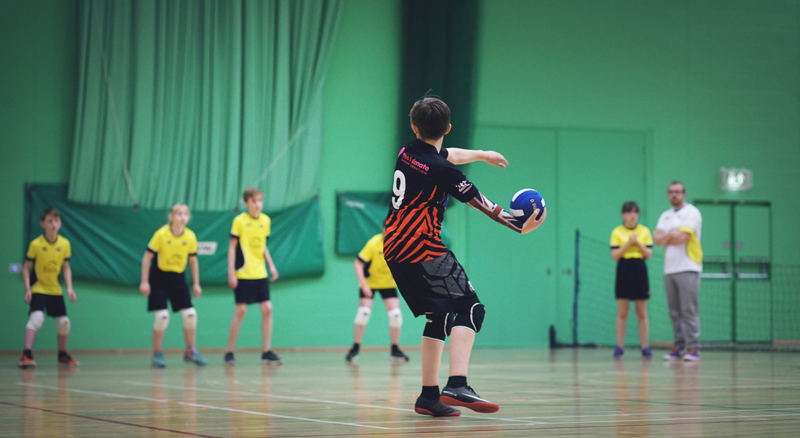 They aren’t simply stood still waiting to be passed to – they need to maintain awareness in order to actively dodge and retrieve balls for their team. This develops their agility and balance as they run, jump, duck and dive their way to success. But aren’t children stood on the side when they go ‘out’? Maybe in official games*, but one of dodgeball’s key strengths is how easy it is to adapt! Instead of a child going out when hit or caught, why not have them join the other team, or crouch down and wait for a pass to ‘free’ them? How about ‘stuck in the mud’ dodgeball, where you need to crawl through your teammates’ legs to release them? Dodgeball is one of the best sports for ensuring that all pupils remain active throughout a PE lesson. *But this is never for long as junior games only last 2 minutes - and what's more your team mate can catch you back in. Isn’t dodgeball dangerous/aggressive? 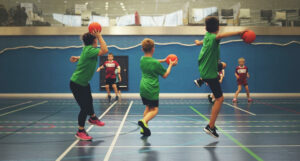 Played using the correct equipment (British Dodgeball size 1 foam balls in primary school and British Dodgeball size 2/3 cloth balls in secondary school), dodgeball is safe for all pupils to participate in. There are specific rules banning headshots which serve to keep players safe and ensure they have the most amount of fun possible whilst playing. Furthermore, the dodgeball code is based around honesty and respect in order to teach children the value of good sportsmanship. Dodgeball is an inclusive sport suitable for all ages, ability levels and genders. It supports the development of physical literacy in a child by encouraging the development of basic running, jumping, throwing and catching skills. At older ages, it then facilitates the building of these skills by using them in combination, reflecting on their performance and improving them. It gives pupils the chance to develop tactics in games where there is no single spotlight (e.g. one ball in football) and so barriers against the sport are less likely to develop. Ultimately, this ticks off many of the national curriculum objectives (see below) and promotes an active, healthy lifestyle among young people. Try dodgeball in your class today, you won’t regret it!